The military saw a pay raise that matched the rise in private sector wages for the first time in six years and many feel that Trump is the one to thank for that. 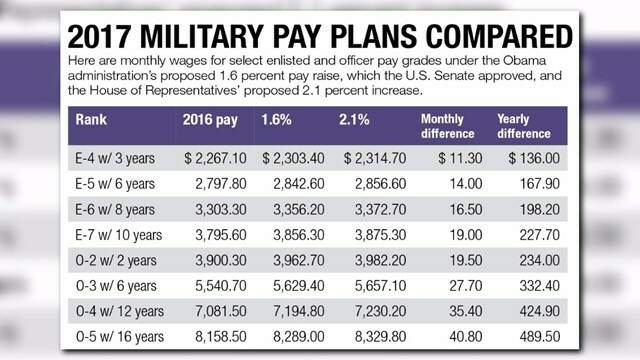 Prior to the election Obama and congress seemed to be in a deadlock about how much of a raise the military would receive in 2017. Congress wanted to give the troops a raise that matched the projected growth in private sector wages, while President Obama had proposed a budget reducing the raise to 1.6% or a half a percent behind private sector wage growth. 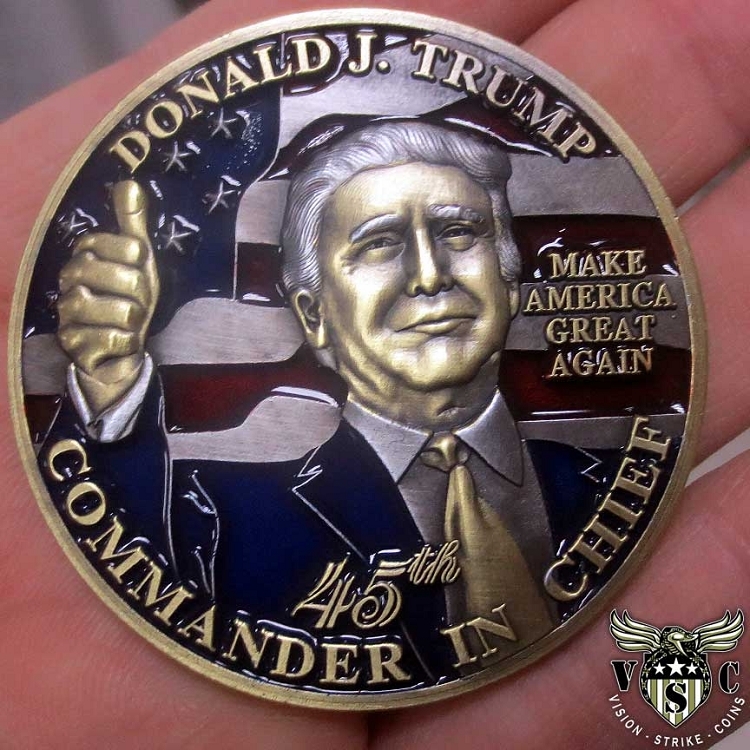 This has been his strategy as a way to save on the budget for some time and many veterans and veteran groups have been upset with the Commander and Chief trying to save money on the backs of the US men and women in uniform who are readily sent into harm’s way. The 2017 National Defense Authorization Act submitted by the Obama administration also called for cutting 20k troops from the active duty Army alone. However after the election this was removed from the act and troop levels are to be maintained at their 2016 levels. One might presume that there actually may be a buildup in troops during the Trump administration. President Trump has touted his support of the United States Armed Forces and its veterans throughout his entire campaign. He has made the terrible state of Veterans Affairs a focal point while gaining the support of veterans across the country. If you follow the link below he can even be seen giving a job interview to a veteran who questioned him during a press conference. He calls the woman up to the podium and gives her an on the spot interview after the woman asked if Trump Towers would be part of the Veteran hiring initiative. Needless to say I think he got that veterans support when she went to the polls on Election Day. Pair all of this with the fact that President Trump selected one of the most respected Marine Corps generals in history as his Secretary of Defense and it sounds like this administration may be a major shift from the previous administration that saw the reducing of troop levels, buying power eroded, education benefits cut, and a crumbling of the VA system. 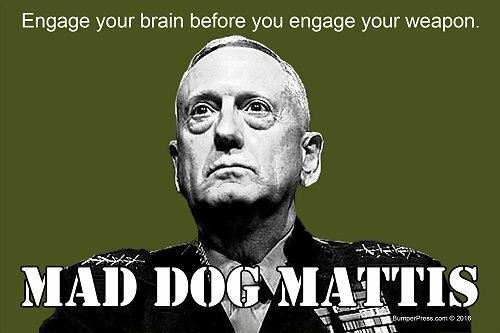 Even if President Trump is completely hands off from this day forward the Department of Defense can still look to General Mattis as the Secretary of Defense and feel a sense of security in an organization that can only be described as the largest band of brothers you could ever assemble. The military and its veterans are a family through thick and thin. We may have our fights, we may joke around with each other, we may even knock each other around but that’s ok because we are family. If anyone outside the family were to do it we would end their world. I for one am starting to feel very secure with the direction that that family will be heading in for the next 4 years. The founding fathers were geniuses despite the modern rewriting of history and based our form of governance, a Republic with democratic powers, from the Human Brain. A fractal. They got it. In order to govern the masses fairly and as each a sovereign, it must pattern after how we govern ourselves. Genius. The Triune Brain. Although the brain is a complex organ much like man is a complex creature culturally, we are still able to break it down into its fundamental functions. The Reptile Complex, Limbic System, and Neocortex. The Judicial, Legislative and Executive Branches are patterned after R complex, Limbic and Neo cortex. The Legislative Branch represents the Limbic and like the Feminine energy of the Mammalian brain it is the first thing that is processed through the eyes viewing the outside world. The Legislative Branch is where a new concept or law begins. Like humans we must take what we see and understand. Understanding takes care. All symbols of the Limbic. The reptile mother doesn’t care for their young. They lay the eggs and move on. Sometimes if the reptile mother is hungry will eat her own eggs to survive. However the mammal, which we as humans also share this brain, cares. We nurture for months in the body then raise them til adulthood. All mammals do this. As Humans we care enough to discuss the issues and cooperate to a compromise for the benefit of the collective. This is what happens in the Legislative Branch. The building is even shaped like a mother’s breast which symbolic sustains life. Feminine energy indeed. Where does our Legislative Branch meet? In Congress. Another word for making love. Or male and female energy coming together to create a new law(life) in the world for the Executive branch to enact and engage. The Executive is the Neo cortex and unlike animals that have the previous two, we have evolve and have the higher faculties to rationalize our feelings and thoughts to take action in the world to hopefully improve it. Like the Neo Cortex the also called the Executive Brain the Executive Branch makes decisions and can veto or overrule the Legislative or Judicial Branches. No other creature or government has ever achieved what Mankind and America has under this governance. The knowledge an understanding to take action in the world is what is necessary to perceive and change what is bad to good. R Complex is the R Complex or reptile brain and like the R Complex humans share this old brain with many lesser animals going way back. The Judicial Branch is the equivalent. Like the R Complex we as animals have been living under the very strict law of nature for a long time. This branch represents the laws of humans aside for the law of nature. It is to PROTECT us from royals and tyrants. From our neighbors that wish to take from us. It sets up boundaries and functions to enforce that law. All characteristics of R Complex. Unfortunately we have been under Nationalist Socialist which patterns after a slave mind not knowing thyself, isolated and not sovereign. Following the master subservient to any authority hoping for a handout they can achieve while selling out their neighbor to get ahead and above the trash heap of waste, pollution and ignorance that socialism always creates. Like the homeless wandering the streets, the Socialist too are shadows of their true selves, slaves to the system, money and ego shrouded by altruistic lies. We are being lured back into the fold of the monarchy’s foul leathery wing. Nazi Symbol on the walls of the US Congress. Not sure but based on pictures these were not present prior to WW2. Lets get back to the US Constitution and the understanding of what it means and the principles for which it stands. Take action in the world and make sure we maintain this idea. Otherwise you are a slave not a sovereign. Recognize our Great Republic and Keep it. Be Sovereign! Hazing has been a part of the “Shellback” ceremonies in the US Navy for years, but the new Hazing Prevention task force is trying to end that. Hazing is classified as any and all actions that are, “cruel, abusive, humiliating, oppressive, demeaning or harmful.” It is nice to know that Shellbacks Making a Comeback might be at hand. SECNAV Instruction and the new task force say that their mission is clear, and that mission is to end hazing. However, the Navy does not want to stop the comradery and team building associated with these ceremonies. Throwing a bucket of water on someone, or a flavored/color drink, small amounts of non-poisonous grease or other non dangerous agents is considered to be “OK”. Engine Lube, or poisonous substances are out. Beating someone with a rubber hose is out, but covering someone with vegetable shortening sounds like it’s good “clean” fun still. Often these ceremonies will also contain gifts, and mementos such as special coins called Challenge Coins. These are made with specific designs emblematic of the location of the Shellback Ceremony. Also decals, sticker, custom unit shirts and other products are used to give the new sailors a lasting memory of the events and the accomplishment of the ceremony itself. Shellback King Neptune’s Court in Bronze! This important right of passage can build a feeling of accomplishment as well as comradery, as long as things are not taken too far as leave people injured, physically or mentally. Today’s ceremonies have calmed down considerably. The new sailors will most times dress funny, sing and chant and get hosed down or splashed on by water buckets. We hope that the Navy will allow the ceremonies to continue as it is an important moment for many Navy Men and Women. As long as the ceremonies are done in a safe and non-damaging way to our brave soldiers and sailors, we believe the benefits outweigh the issues involved. Navy Shellback Shirts at Vision Strike Wear or get your own Bronze Shellback Statute. 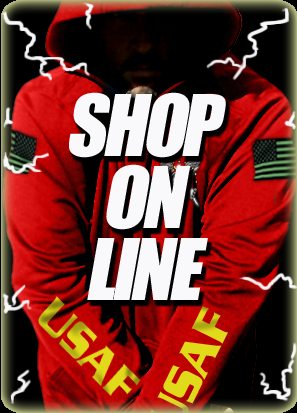 United States Coast Guard shirts and designs have been created for the Amazing Guardsmen of the USCG! The Ports Waterways Coastal Security Harbor Master USCG Shirt created for Coasties and one of the 11 major mission types the USCG focuses in when conducting operations all over the world PWCS. Even though the smallest of the United States military branches, the US Coast Guard no less has some of the finest men and women in uniform working extremely hard each and every day helping to protect our shorelines, harbors, sea lanes with their incredible skills and talents. Detect Intercept Interdict! PWCS, one of the many roles the USCG performs involves the employment of awareness activities including; counterterrorism, antiterrorism, preparedness and response operations; and the establishment and oversight of a maritime security regime. PWCS also includes the national defense role of protecting military outload operations. This USCG design was created specifically for those involved in PWCS activities both active duty, reserve, retirees and veterans alike. Who Shot Osama Bin Laden – Does It Really Matter? Robert O’Neil says that he was the man who shot Osama Bin Laden. He is a former Navy SEAL and the Pentagon has confirmed was one of 23 Navy SEALs on SEAL Team Six that went on the mission to find Osama Bin Laden. He claims to have fired the shots that killed Osama bin Laden. O’Neil said Friday that he was inspired to reveal his secret after meeting with the families of victims from the Sept. 11, 2001 terrorist attacks. Did O’Neil Shoot Bin Laden and Should He Even Be Talking About It? There are conflicting reports whether he was the man who shot Osama Bin Laden, former Al Qaeda leader, or if SEALs are even supposed to disclose those kinds of details to anyone. He said that after speaking at an event for the families of victims of the terrorist attacks on 9/11, and seeing the reactions of the families, he was inclined to speak out about what happened. Montana native, Robert O’Neil, being interviewed November 14, 2014 on NPR said that the families “found solace and closure” by knowing that Osama was killed and knowing who “punched his ticket” made it seem “real” to them. “I think it’s a difficult secret to keep,” he told CBS News. All 23 SEALs who participated in the raid on a stronghold in Pakistan back in 2011 were sworn to secrecy about the mission. Some say that there were thousands involved in the hunt for Osama and that O’Neil was merely the “tip of the spear” or the “triggerman” in the multi-year world-wide man hunt for Bin Laden. Previously, a book published under the pen name “Mark Owen” by former Navy Seal Matt Bissonnette, is under investigation by the Pentagon. I doubt that there will ever be consensus on an issue such as this, however there are a few points that everyone can agree on. Osama Bin Laden had to be removed, even if he was only a figure-head at that point and not operationally involved. The families of the victims of 9/11 deserve any small amount of comfort or closure we can give them. We need to do everything we can to guarantee the operational safety of our men and women in uniform. Robert O’Neil does not seem to have a direct profit motive, as he is not promoting a book or product and he does work with a registered charitable organization. However, he broken the code of secrecy that SEAL teams swear to uphold. Even if his motives are honorable, the code is in place to protect our troops during and after their active duty, and that is a line he has crossed. Join the ISIS Hunting Club!